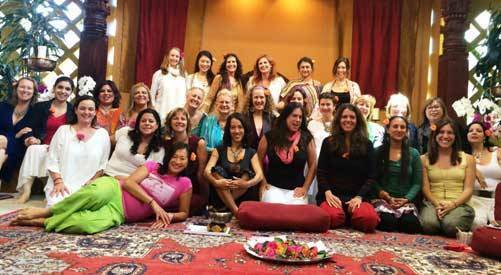 Temple Woman Events ~ A Spiritual Celebration of your Soul! 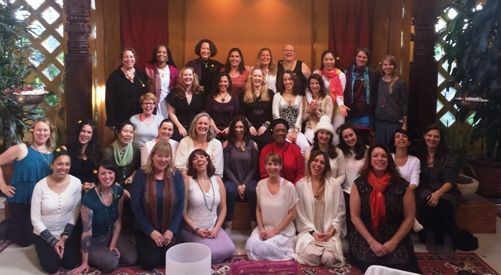 What would you do if the world honored you fully as the dynamic spiritual woman you are? 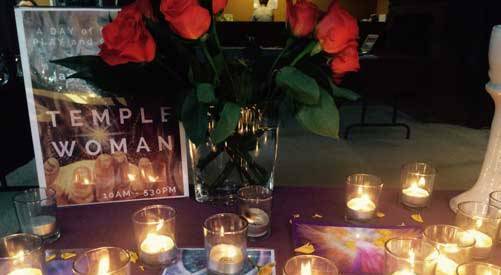 Temple Woman is a JOYFUL heart-centered “ATTUNE UP” and a spiritual celebration of your soul! Temple Woman lives within each of us: body, mind, and spirit. She is brave, on her spiritual path, and playful. She has access to her loving wisdom and chooses to be a force of love in the world. From that place, we unite as empowered sisters and friends to culminate our divine expression. 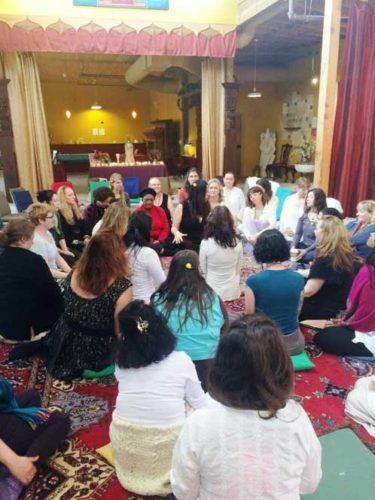 In Community Embrace, we Attune our inner Temple Woman through ancient wisdom teaching, modern ritual (which draw upon multiple traditions), and spiritual play. One day spiritual gathering is in the heart of Berkeley CA at The Rudramandir Center main hall. Doors open at 10am for tea, mingle, and embodied stretch and movement. Ceremony begins at 10:30am – Marta Maria M.A. The Divine Feminine Initiation of White Tantra Mantra – with Marta Maria M.A. 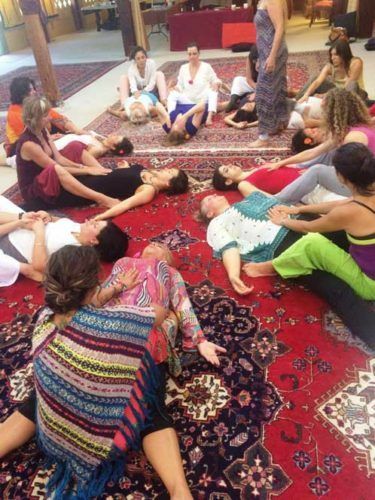 Honoring the Divine Mother – Nurturing the complexity of the mother daughter relationship through clarity and grace – Marta Maria MA and special guest My mom. 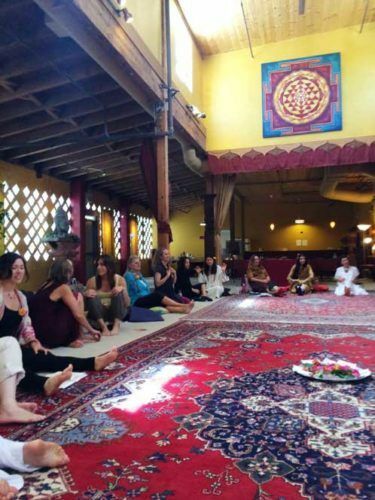 One day spiritual gathering is in the heart of Ashland OR at The Hidden Springs Wellness Center. Backjacks, pillows, floor cushion. We will sit in circle on the floor.